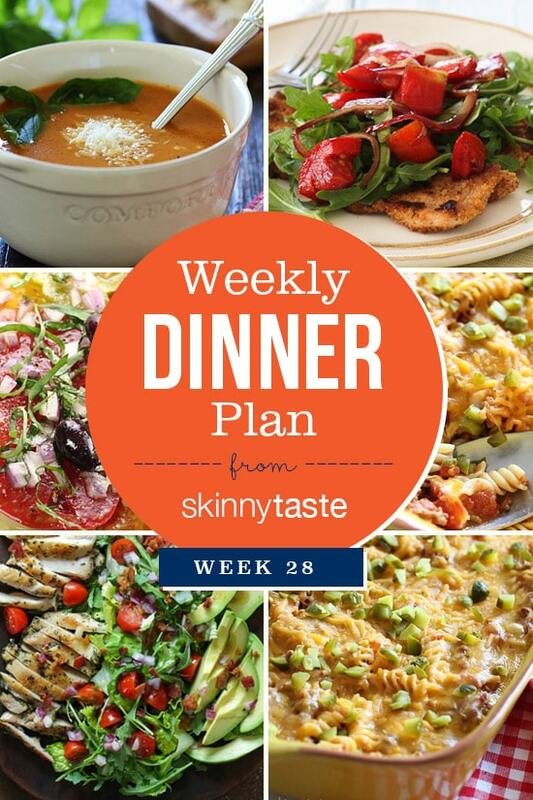 Skinnytaste Dinner Plan Week 28. I hope all the mom’s out there have a GREAT Mother’s Day! I don’t know about you but I am ready for spring! On the rotation this week is Cheeseburger Casserole, definitely a fan favorite and kid approved! We are totally addicted to the Rosemary Chicken Salad with Avocado Salad. I’ve made it two weeks in a row – LOVE IT! Thank you for the meal plan. Can’t wait to try the tomato soup! 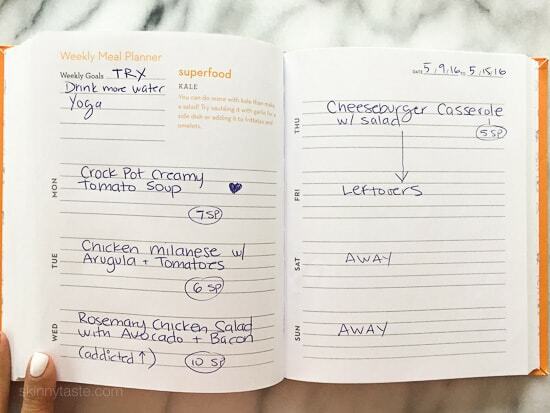 Do you really only serve soup for dinner ? Don’t mean that In a judgemental way at all, I wish I could do that, we just seem to be pretty big eaters over here. We usually have soup and a protein, carb and salad. Sometimes, but it’s always OK to serve it with something else!